BUYING WITH SUSAN HORNE P.A. Your time is valuable, and Susan knows it. By offering concierge service to every client, Susan ensures that your schedule becomes her schedule. She’s available for showings at all hours, but it doesn’t stop there. Susan's extensive knowledge of the Palm Beaches means that you’ll get the inside scoop on everything the area has to offer. Using his connections within the community, Susan is constantly keeping up with what’s going on in the local market. This means that when your dream home becomes available, Susan will know. Unlike many other agents, Susan's relationships with clients extend far beyond the sale. 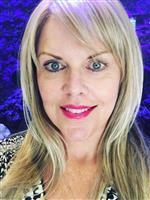 She strives to foster friendships and provide guidance for those who may be unfamiliar with the Palm Beach area, and turns clients into lifelong brand ambassadors. Susan helps clients transition seamlessly into their new environment, and shows them all the ins and outs of what it means to live like a local. If you’re looking for a truly elevated buying experience unlike any other, Susan Horne would love to meet. Buying a home can be complicated, but here are some valuable resource articles that may be helpful for you as you are going through the home buying process. These articles cover the basics from understanding how real estate agents assist with the process, analyzing your budget and financial status, dealing with inspections, making an offer for that home and preparing for the paperwork process that goes along with this life changing financial decision. For assistance or quick answers to your real estate questions, give a call to (561) 312-4388 or Contact us!